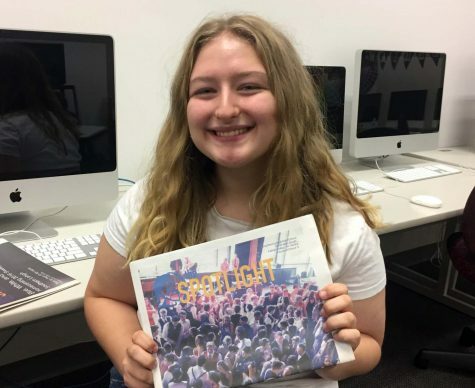 Senior Sarah Jacobson is a third-year staff reporter, former Our World editor, and current Editor-in-Chief of the Spotlight. She is also the head of social media for Feminist Student Union (FSU), co-president of the art and literary club, member of the National Honor Society, and a Girl Scout. When she’s not in school, Sarah loves reading, traveling, and hanging out with her friends. Her most unique talent is that she likes to knit. One of her proudest moments is seeing her mother graduate college. Sarah plans to attend college in the future, where she intends to study English and Communications. Follow Sarah on Twitter @sarahkjacobson.